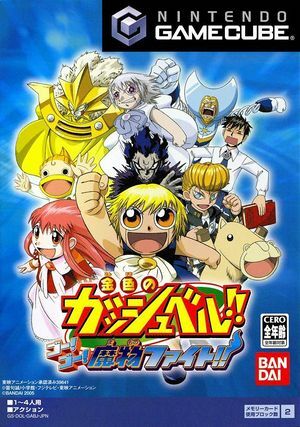 Konjiki no Gash Bell!! Go! Go! Mamono Fight!! (金色のガッシュベル!! ゴー!ゴー!魔物ファイト!! Konjiki no Gasshu Beru!! Gō! Gō! Mamono Fight! !, lit. "Golden Gash Bell!! Go! Go! Demon Fight!!") is a 2D fighting game. The fighting gameplay style is similar to Super Smash Bros. with four-player multiplayer. The graph below charts the compatibility with Konjiki no Gash Bell‼ Go! Go! Mamono Fight‼ since Dolphin's 2.0 release, listing revisions only where a compatibility change occurred. This page was last edited on 25 July 2018, at 01:39.